Ever heard of Queen Viola Cipolla of Tropea? No? Well, in most, if not all Italian kitchens, Queen Viola Cipolla of Tropea, who hails from Calabria, is a member of an elite family. 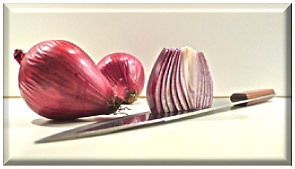 And that family is known here in the Bel Paese as the cipolla (onion), the "queen of the kitchen." 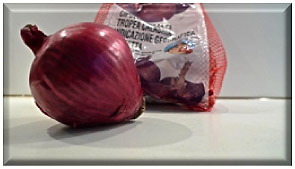 Queen Viola Cipolla of Tropea just happens to be the peninsula's most prized onion and she's the color viola (purple). 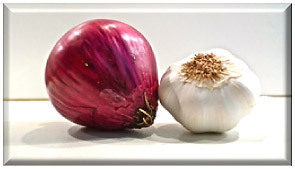 The Queen, along with her king, garlic - BAM! 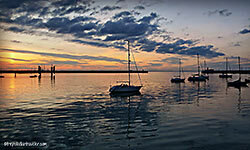 (Thank you Emeril) - are the royalty of the core ingredients found in la cucina Italiana. Available year round, the new season of Queen Viola is seeded under the cool air of the fall in the fields around Golfo Vaticano (Vatican Golf), near the city of Tropea, overlooking the Calabrese stretch of the Tyrrhenian seacoast. In May-June she's harvested, and June-July she begins to hold court at countless open-air markets and the most popular supermarket chains throughout Italy and beyond. 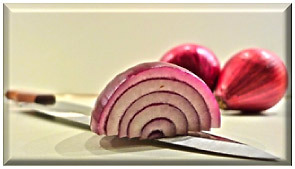 Unique among onions, in 2008 the European Union registered the regal Cipolla Rossa di Tropea (Red Onion of Tropea) under its Protected Designation of Origin (PDO) mark. As a devoted subject, I happen to love Queen Viola. As my queen, she's sweet; so much so, they even make marmalade out of her. And best of all, my queen doesn't leave you running for mouthwash like most of her yellow or white-skinned relatives of the onion realm. I bow to her and pay homage whenever she's thinly sliced over fresh salads, grilled alongside meats and seafood, or skewered onto juicy and colorful spiedini (shish kebabs). Whether you spend lots of time cooking or, like me, just carry around a good fork, I dare you to wipe off your cutting board and allow Queen Viola into your kitchen. 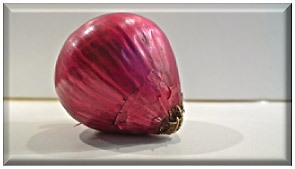 She's Calabria's sweet-tasting, deep-purple royalty and really deserves a try the next time you reach for an onion. Long live the Queen! Queen Viola Cipolla of Tropea, that is..